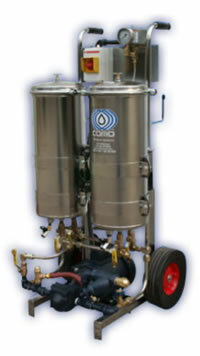 Product image of our Case Study: Emergency Response Hydraulic Oil. PROBLEM: A major manufacturer of aerospace manifolds in Charlotte, NC had cooling water leak into 3,000 gallons of calibrated hydraulic fluid. The fluid replacement would have meant weeks of down time between procurement, draining, haul off, and start up, not to mention considerable expense. 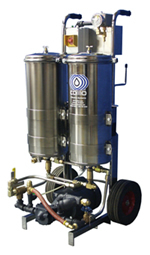 SOLUTION: : JDI, Inc. rented a portable filtration system to the manufacturer to remove water from the fluid and had the fluid back in calibration within one week of the initial phone call. This process allowed production to proceed until the heat exchanger could be scheduled for maintenance. 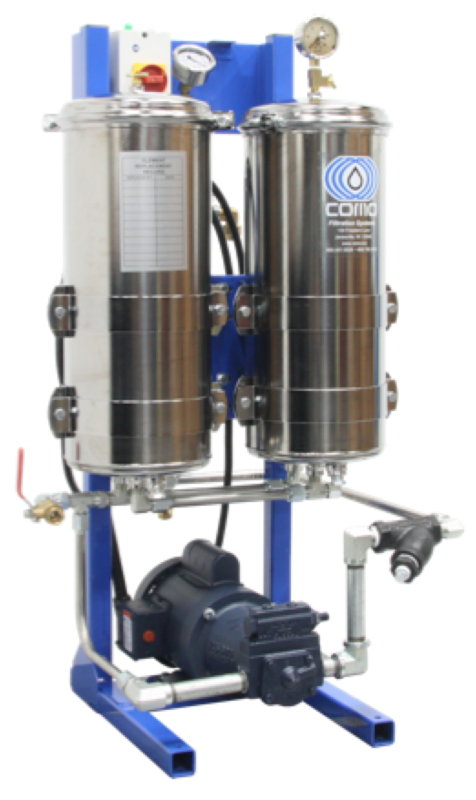 The manufacturer decided to use the system to continually keep fluid within specifications for both particles and water.